This bulk billing practice is located in South Perth 46km from Perth CBD, a 30-40 minute drive. It is one of the fastest growing suburbs in Perth and the 8 Drs at this practice are fully booked and cannot meet the demand. They require an additional GPs to join the team. The practice has been open for 3 years it is based in a busy main street in a modern new built building, it’s well-equipped, patient-focused practice located in the vibrant community of Baldivis. It is a well-run practice with 4 nurses and a full range of Allied Health professionals and pathology onsite. They are open 8am to 10pm and over weekends. GPs work 40 hours a week, evenings and weekends are covered on a rota basis. They are flexible with regards hours and Drs individual preferences. Any specialist interest or training interests will be fully supported. The GPs at the practice over a range of services including minor procedures for lumps and bumps, mental health care plans, chronic health care plans, joint injections, circumcisions, vasectomies, iron infusion, coil/implant insertion and removals. Perth is the booming state capital of Western Australia. There are around 1.6 million people living in the city. Perth is 5 hours closer to the UK that the East coast and is a top choice for UK expats. Perth is the only capital city with a wine region, conservation areas and 19 beautiful beaches all close enough to be enjoyed in a day, along with plenty of nightlife, shopping, outdoor dining and amazing marine adventures. Perth transport gets you wherever you want to be by land, sea and air. There are more than 30 travel routes connecting Perth and Perth airport with the rest of Australia and the world, making the nation’s sunniest capital and most diverse state surprisingly accessible. Perth has an excellent quality of life and is known for being a great place to bring up children. There are beautiful beaches both north and south of the city with great spots for swimming and surfing. There is a good social scene, plenty of alfresco restaurants and cafes. 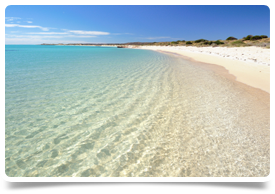 The climate in Perth is probably one of the best in Australia with more sunshine hours, warm summers with cooler winters – although a winter’s day can often be 18 – 24 degrees.